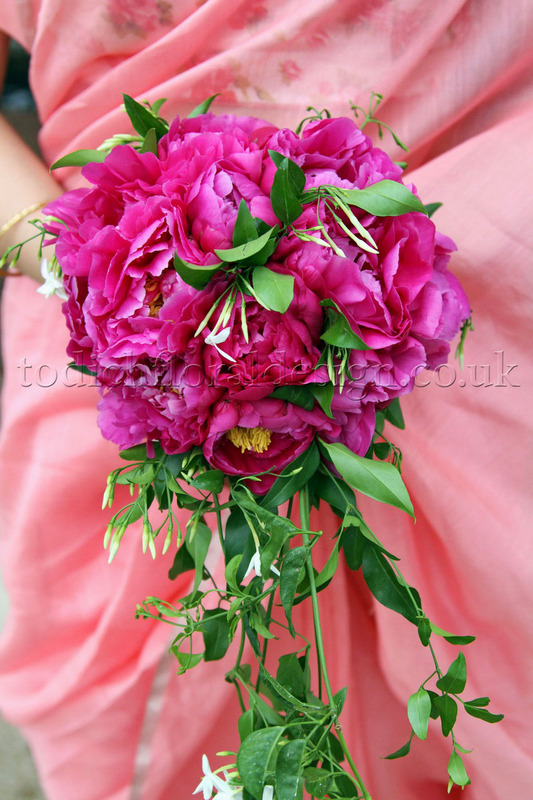 Whether a single flower or a mini bouquet, corsages make gorgeous addition to wedding outfits. They can harmonise with a dress in paler shades of pink, cream and peach, or can really pop against a wedding dress in dramatic shades of red, purple or yellow. 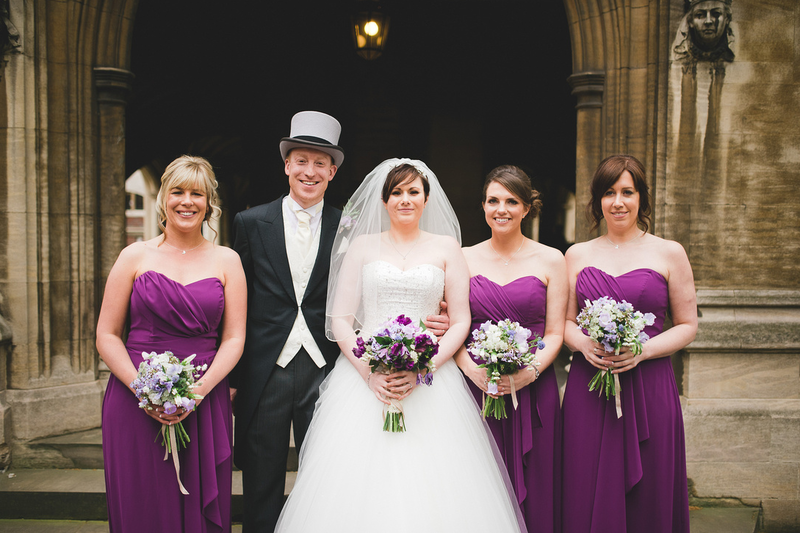 The flowers of the corsage can be mirrored in the more-subtle buttonholes of the groom and groomsmen, and of course in the bride and bridesmaid bouquets and table decorations. 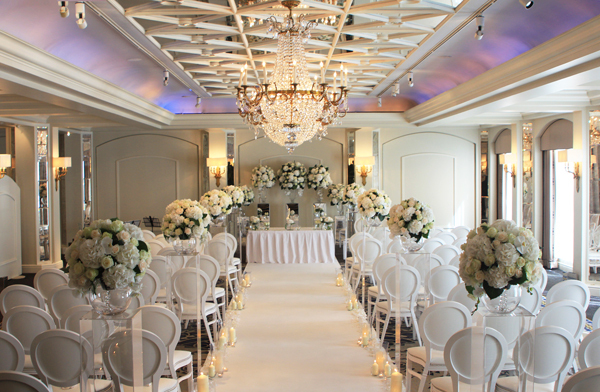 It’s a lovely extravagance to have at such an important, romantic event! 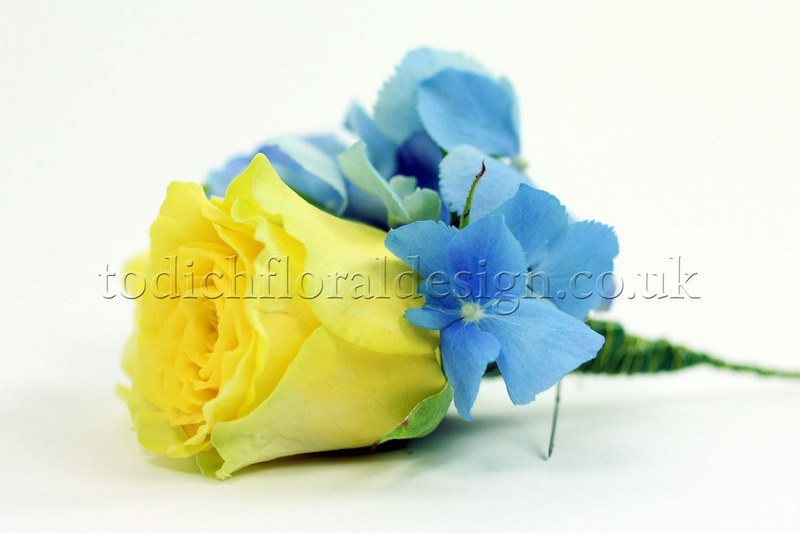 Wedding corsages can be created to suit any themes and styles. Rustic. 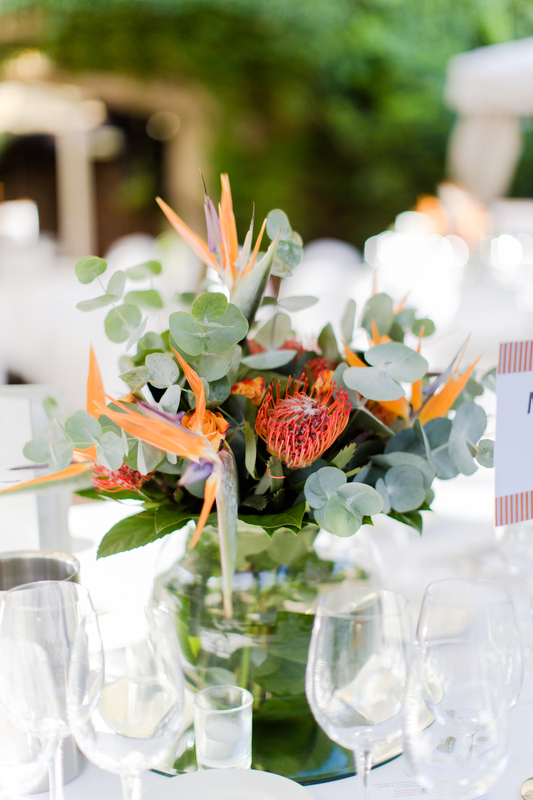 Simple, delicate blooms are ideal for a rustic wedding, invoking ideas of gardens and a care-free spirit. 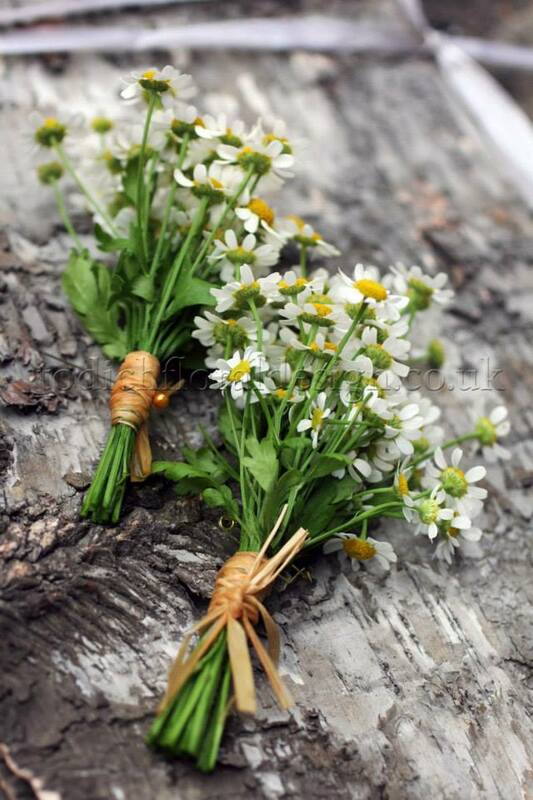 Sprigs of baby’s breath or wildflowers can be used to create corsages and buttonholes, and can play the starring role in wedding bouquets and table decorations. Herbs like rosemary and lavender can make delightful corsages and button holes, adding subtle shades and an aromatic fragrance. Materials like hessian, twine and black ribbon can add to a boho look. Fashionable succulents can even be added to a wedding corsage to create a beautiful, quirky look. Woodland. There are so many beautiful choices of greenery for wedding flowers that they can be the starring role in your corsages and button holes. Ivy and ferns can be styled into beautiful miniature arrangements, or form the base for floral corsages made up of a flower such as roses. More unusual foliage like thistles can be added (especially appropriate for a Scottish wedding! ), and forest features like tiny pine cones, moss and woodland flowers can also be incorporated to create the perfect designs. Classic. 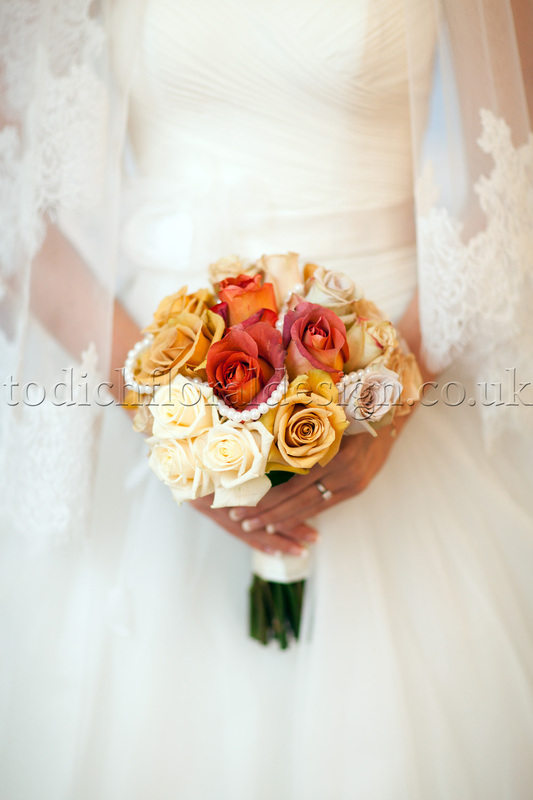 For many planning their wedding, it has to be roses! 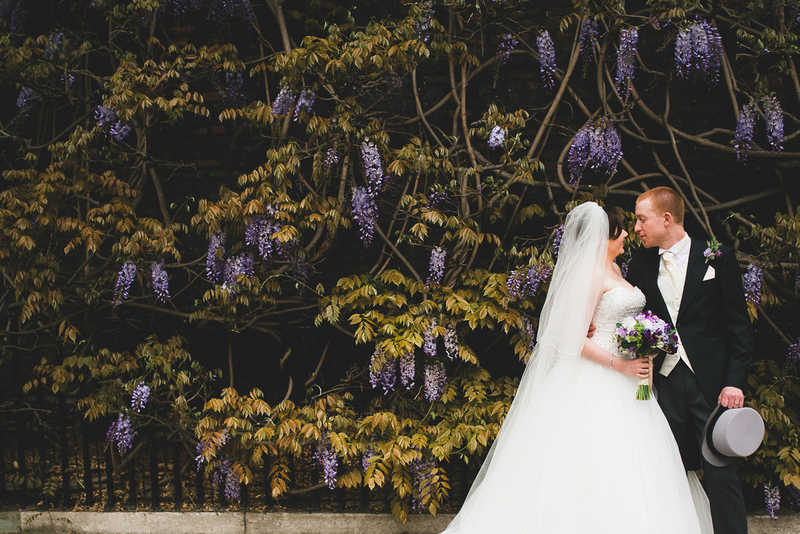 These versatile, timeless blooms have long been associated with romance. Available in myriad shades, shapes and sizes, it’s easy to create any look for wedding corsages and buttonholes with roses. Pale yellow roses will perfectly harmonise with a white or ivory wedding dress, and a single bloom will make an elegant addition to a dark suit. Ribbon, tulle and delicate embellishments of fine foliage and flowers can add to an classic rose corsage. 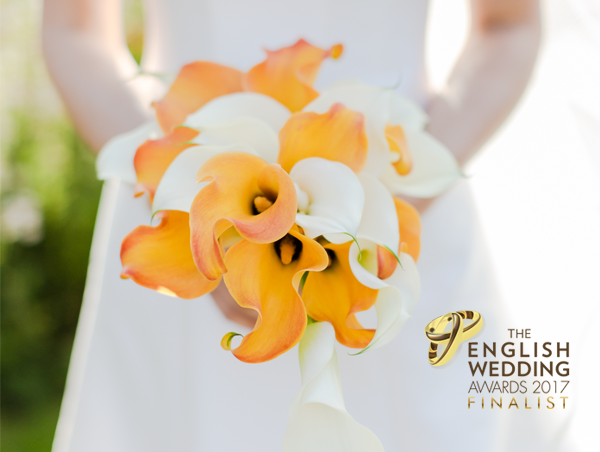 Calla lilies also make stylish, classic choices for corsages and buttonholes, their white or yellow blooms perfectly fitting with any wedding colour-scheme. Orchids. These mysterious and exotic blooms make perfect wedding flowers. Their elegant shapes make them fitting for a starring role on a corsage or button hole, and will certainly create a wow-factor. A single orchid can be the perfect choice – and of course there are so many colours to choose from. From classic white or pale yellow, to romantic reds and pinks or unusual purple or green, orchids corsages are available in any bride’s favourite colour. For a more extravagant look, an arrangement of deep pink orchids and intricate greenery will look truly stunning on any bride, adding a dash of colour and drama to her look. A single bloom of these will make a perfect, complimentary buttonhole. 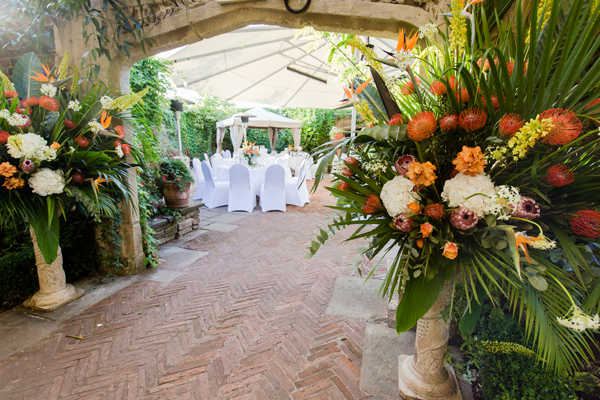 If you are planning the perfect summer wedding, ones that’s whimsical and enchanting, or bold and spectacular, you’ll need a range of wedding flower bouquets to choose from. 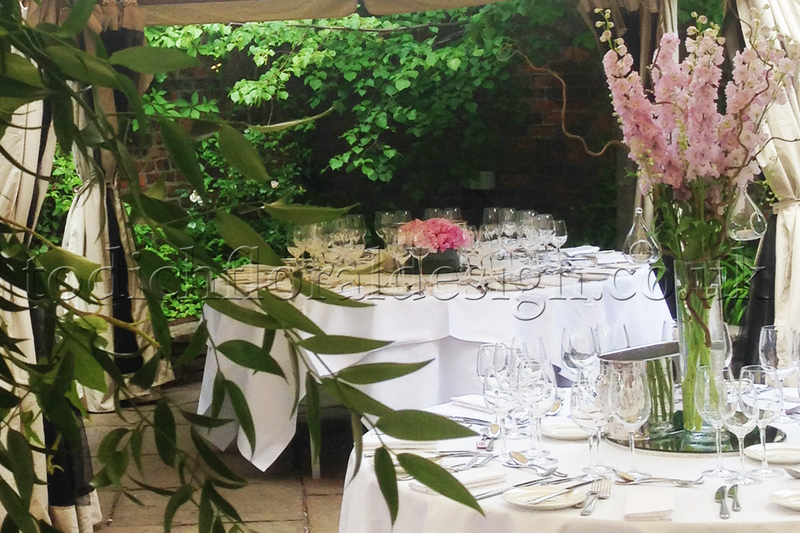 As fun as buntings and other accessories are, flowers remain the most popular way to decorate your wedding venue. 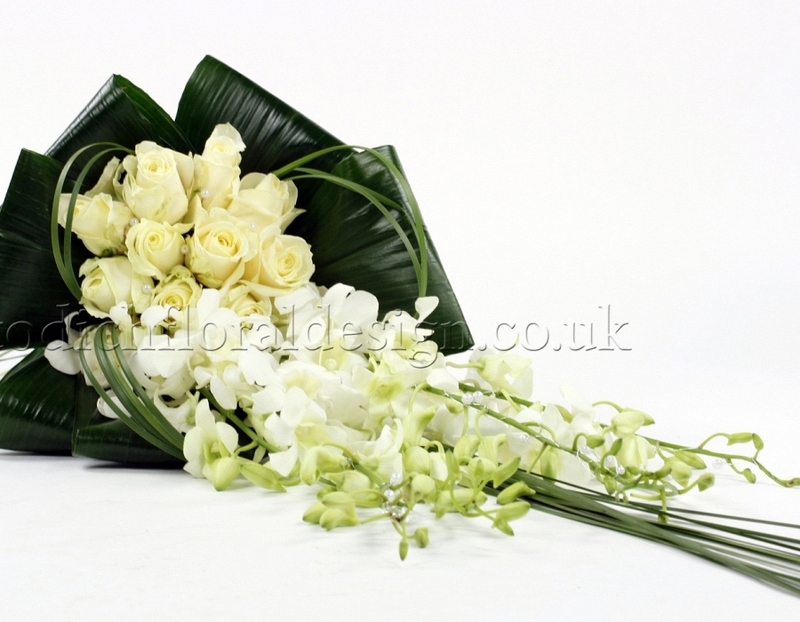 Pretty, colourful and beautifully scented, flowers have the ability to instantly transform the look and feel of a room. 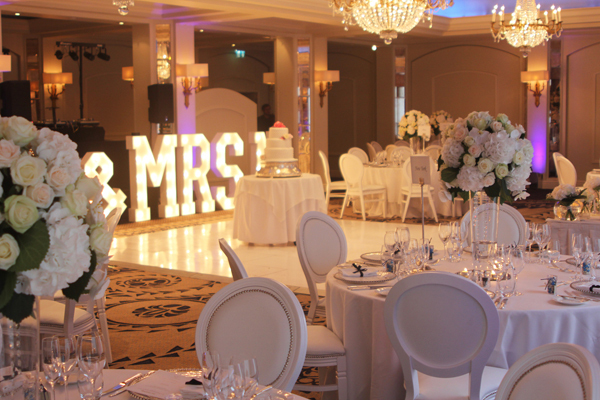 From cakes to buttonholes, bouquets to centrepieces, flowers beautifully adorn every part of your special day. 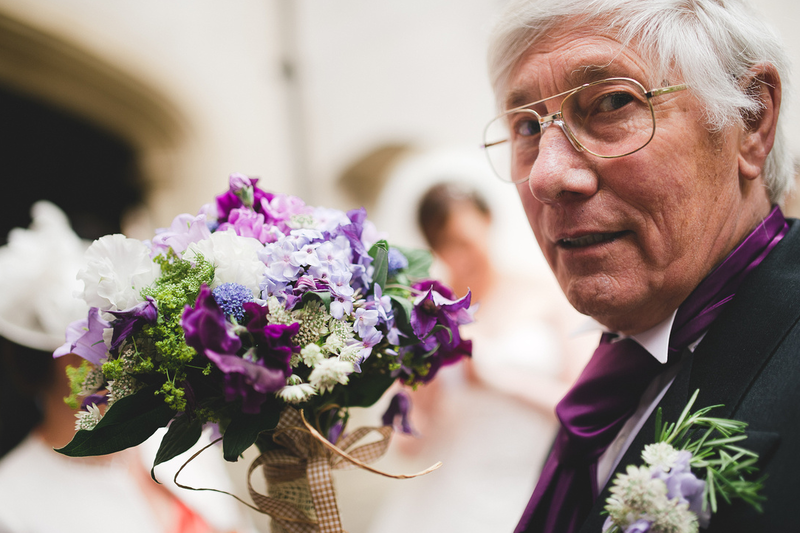 Whether you're after traditional and sophisticated, a vintage affair or a bold statement, wedding florist Todich Floral Design’s range of summer wedding flowers, is sure to have something suited to you. Take a peek at some of our favourite wedding flower ideas, a range of wedding bridal bouquets and trends for inspiration. Peonies. Peonies are gorgeous seasonal blooms, full figured and fluffy in appearance. Available in white and pink these exquisite flowers come into full bloom in late spring/early summer. An alternative to white roses, if you're after classic and sophisticated, peonies look spectacular in singles shades of white and add elegance to wedding flower bouquets. Lavender. With summer on our doorstep, we’re soon to see the emergence of Lavender. Usually in full bloom in late summer, Its delicate form and irresistible scent make Lavender a spectacular choice for bridal bouquets. Lavender has a simple, natural allure, and work great for adding a Boho feel to bridal arrangements. Stocks. 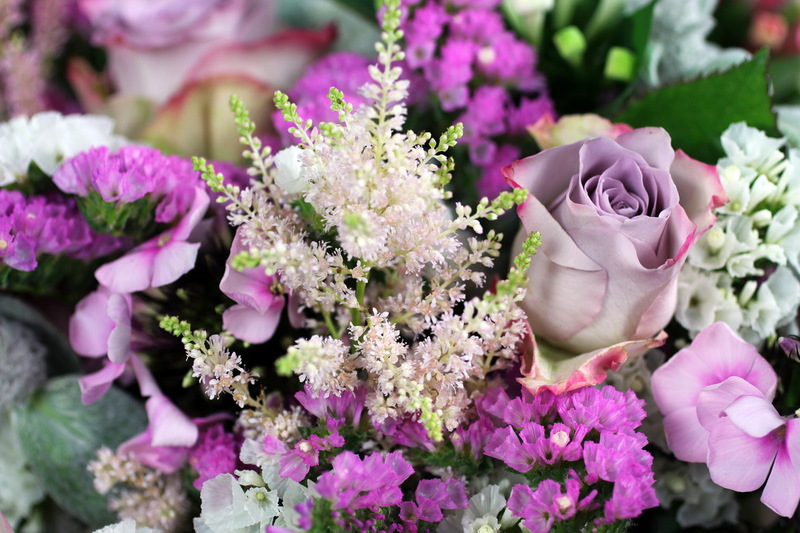 Stocks are delicate, beautiful flowers that come in a spectrum of colours and are perfect for adding height to floral arrangements. 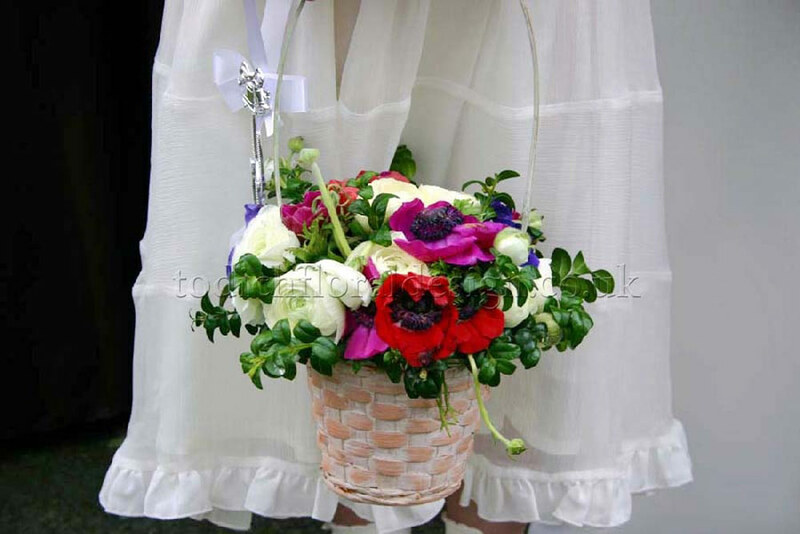 Stocks work great alone, or perfect for adding a vintage flair to bridal bouquets. Daisies. 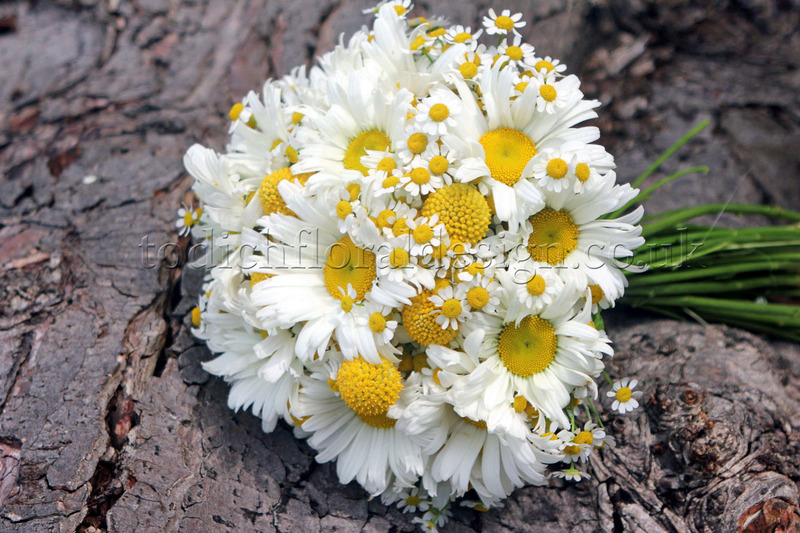 Daisies are becoming ever more popular and add a simplicity and beauty to wedding bouquets. Daises have a prettiness to them, which mean they look beautiful on their own, and add a vintage flair to wedding bouquets when matched with other flowers. Hydrangeas. 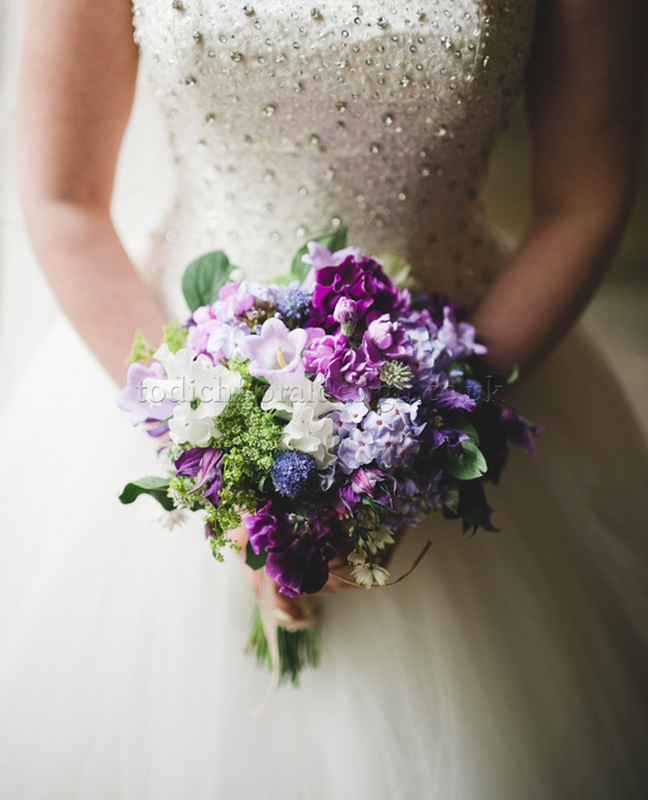 Hydrangeas array of shades and full form add volume and vibrancy to bridal bouquets. 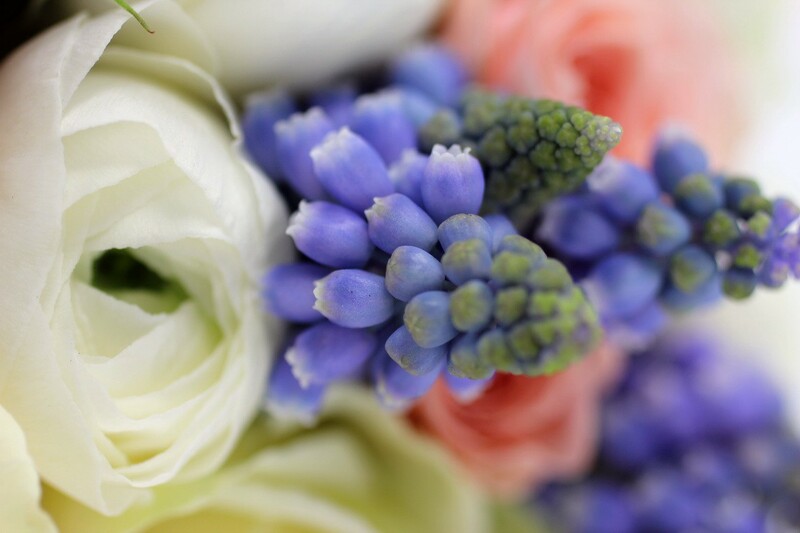 For statement bouquets reach for striking contrasting shades, different variations of one colour or match bold colours with softer pastel shades to add an element of depth to bridal arrangements. 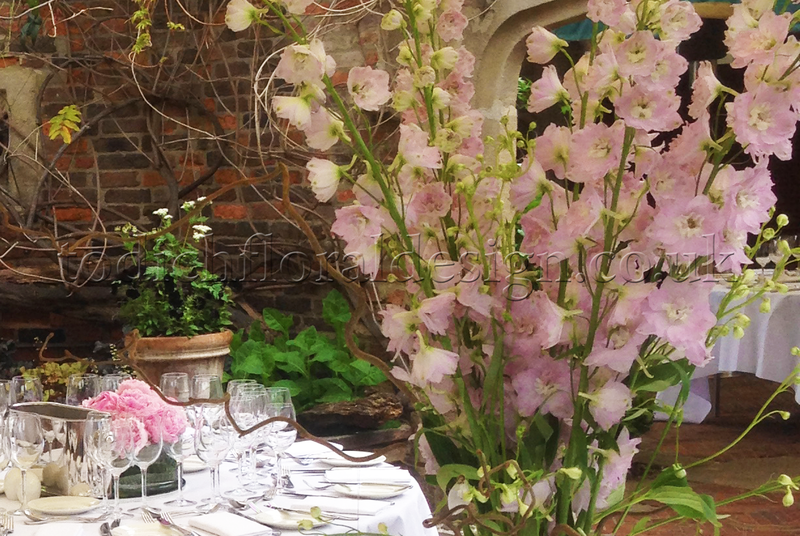 Hydrangeas large blooms and rich shades inject colour and plenty of glamour to bridal bouquets and centrepieces. Carnations. 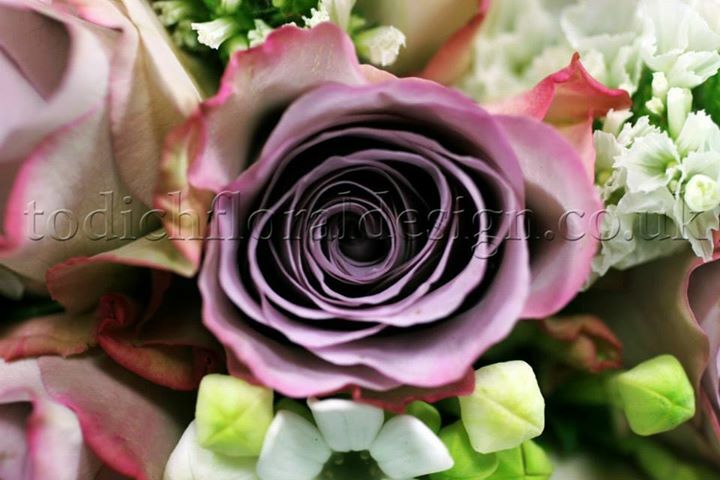 Carnations are beautiful full bloom, that add volume and inject colour to bridal bouquets. 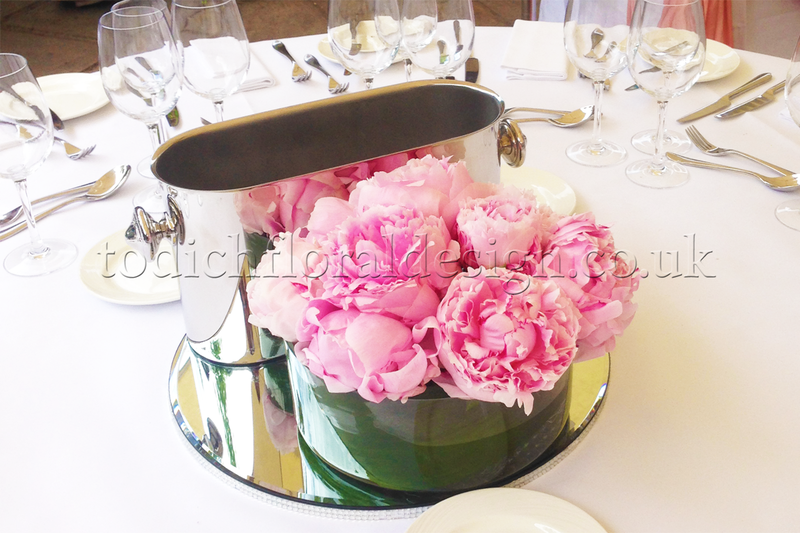 Carnations array of rich, bold shades, add vibrancy and joy to bouquets and wedding centrepieces. Sweet Peas. Sweet peas are delicate, beautiful garden classics, known for their variety of colours and heavenly scent. Sweet peas vibrant shades, especially in deep purple, violet, blue and reds, make stunning summer wedding bouquets, and spectacular centrepieces. 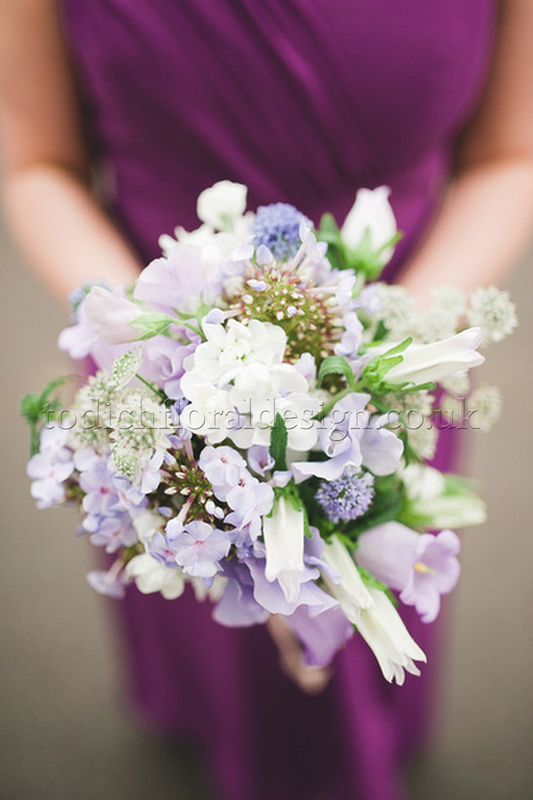 Or why not scatter sweet peas along your wedding aisle, for a fragrant aisle to walk down? Dahlias. Dahlias are glorious full figured flowers that have a spiky form. Available in classic white and pastel shades of pink and purple, dahlias add volume and plenty of glamour to wedding flower arrangements but also stand alone. 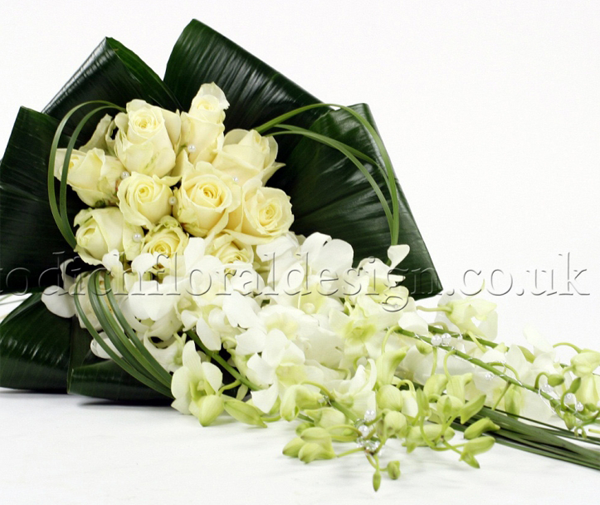 For a traditional look with a modern twist, opt for single shades of white Dalias. 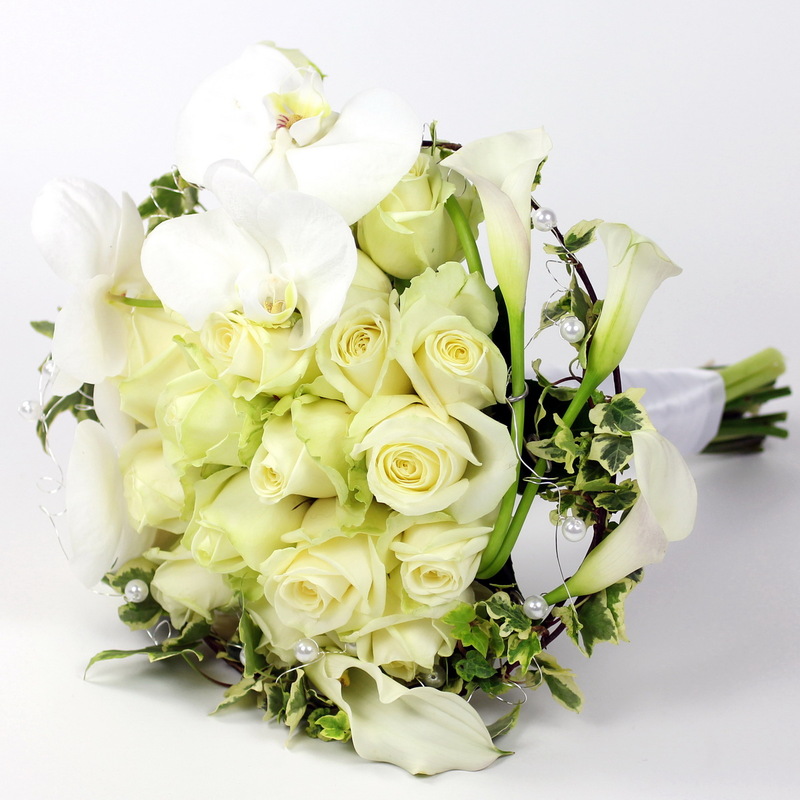 White Dalias adds an elegance and sophistication to wedding flower arrangements, and its contrasting green stems creates a natural element for a simple yet striking finish. Ranunculus. Ranunculus rich shades and full bloom are their main attraction. 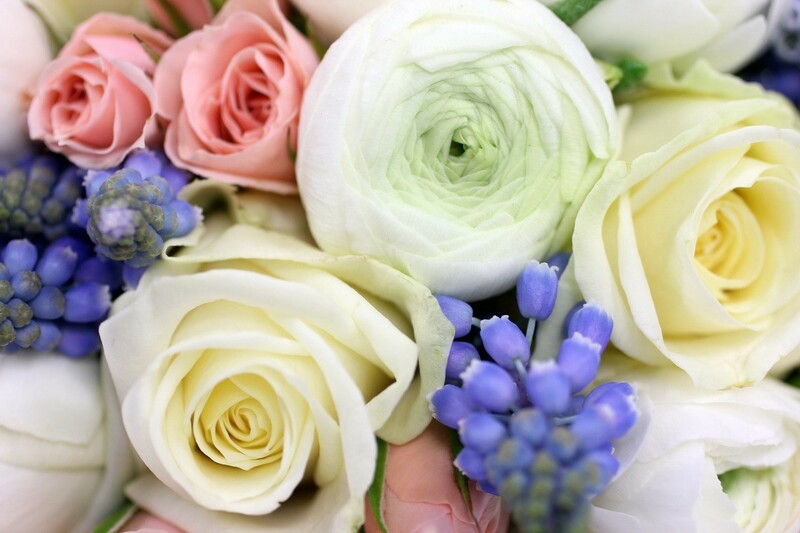 Made up of multiple layers of delicate thin petals, ranunculus spectacular form, striking colours and long lasting blooms make them fitting wedding bouquets. Iris. For more daring arrangements with vivid shades, try Iris. Available in vibrant shades of rich purplish-blue flowers, the Iris combination of bold colours and the usual sword shape petals are perfect for adding something unique to wedding flower arrangements. Gerberas. Gerberas are beautiful flowers that come in a spectrum of colours. Previously overlooked as a trend of the past,gerberas gerberas big, bold form and sunny shades are sure to make a comeback. Gerberas are extremely versatile and can be used in a variety of different arrangements and inject plenty of colour. Chrysanthemum. 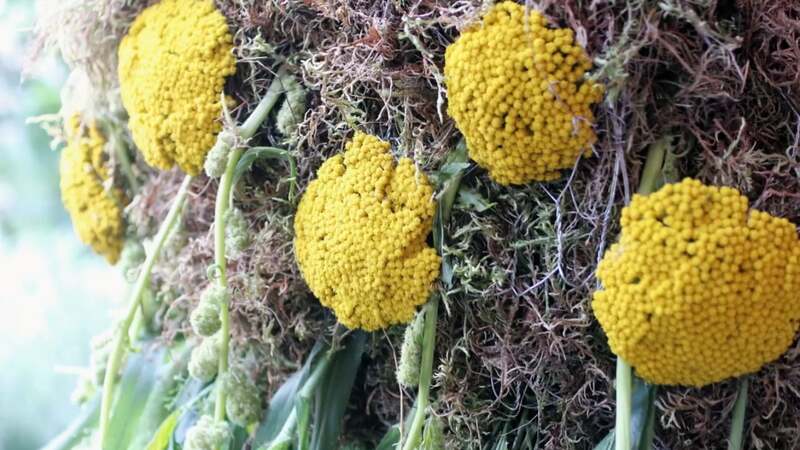 Chrysanthemum’s are compact bushy, rounded flowers made of lots of single slim flowers, available in white, yellow, green and purple and blossom in late summer. 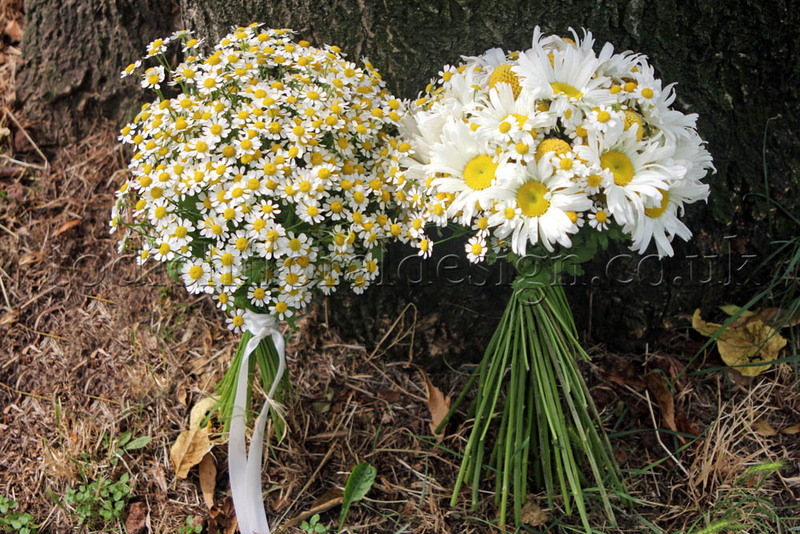 Chrysanthemum’s intriguing shape and full form are perfect for bulking out, bridal wedding bouquets. For a natural look, opt for bouquet arrangements of classic white roses and lashings of green chrysanthemums’s for a simple and elegant finish. Succulents. Succulents are fairly new on the wedding scene, but these trending flowers are sure do make a statement. 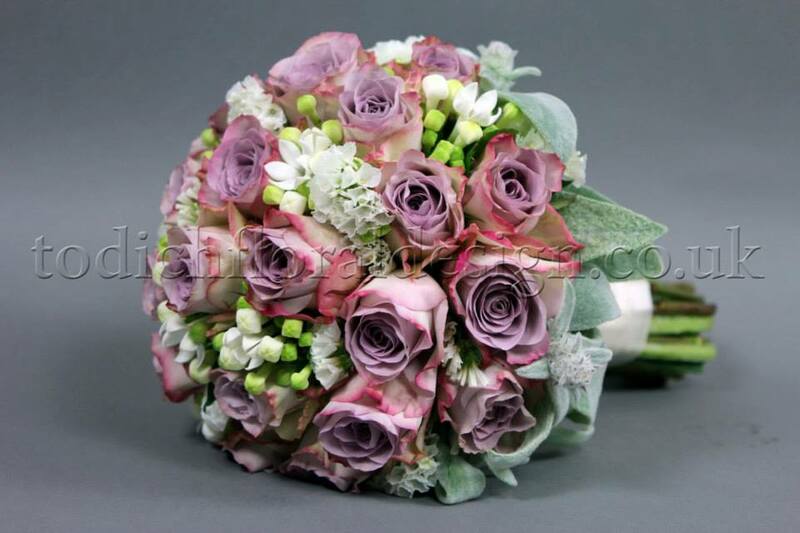 Unusual and beautifully unique, these magnificent blooms have an earthy, natural feel to bridal bouquets. Gypsophila. 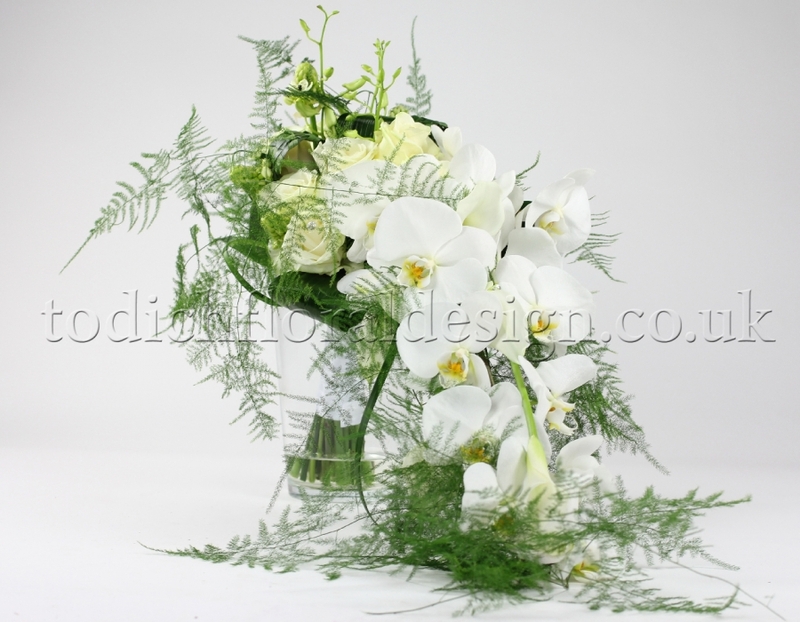 Gypsophila will be here to stay for a little while, fantastic value for money, versatile, pretty and in neutral white you cannot go wrong with fluffy bouquets of them. Lilies. Lily or ‘liliums’ are beautiful scented flowers with trumpet shaped flowers available in white, yellow, bright orange, deep pink or red. 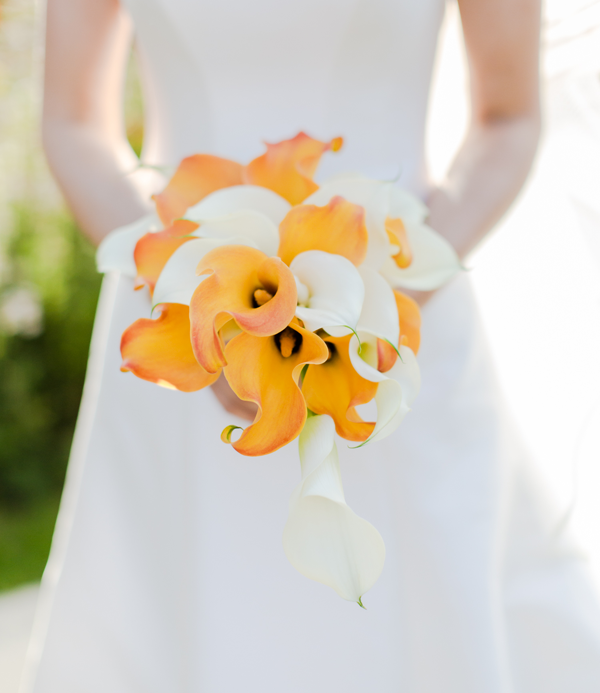 It’s their bold shades and striking form that makes Lilies exquisite bridal flowers. This stunning lily is ideal for bridal and bridesmaid bouquets, for a vintage flair, match with lashing of lush green foliage and classic Gypsophila for a pretty, elegant affair. Roses. Roses are classic, chic, stylish and timeless. Available throughout the year and in so many shades, from elegant soft sumptuous shades of vibrant bold colours that pack a punch, roses versatility and sophisticated form make it the perfect wedding flower. Whether used to create bridal bouquets, centre pieces or to adorn wedding cakes, roses add elegance and romance to wedding flower arrangements. 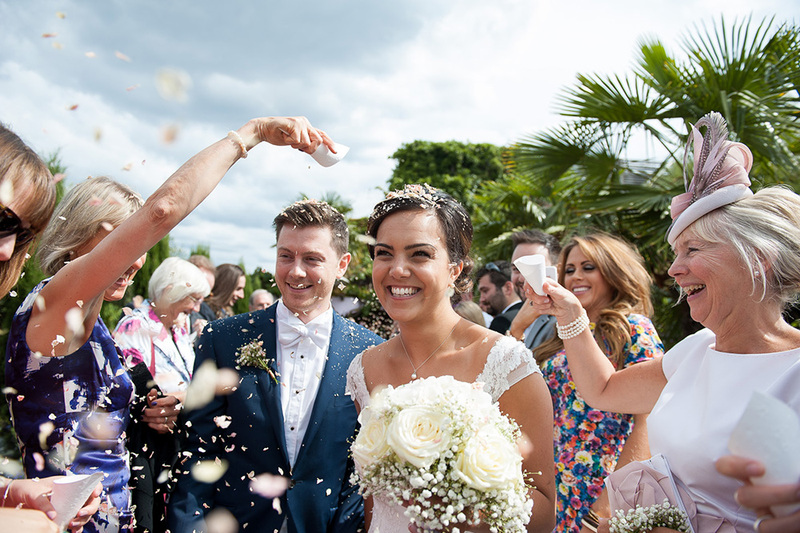 If you haveve taking a liking to any of the above, wedding florist Todich Floral Design would be happy to recreate them for you, or put together designer wedding bouquets tailored to your specific needs.